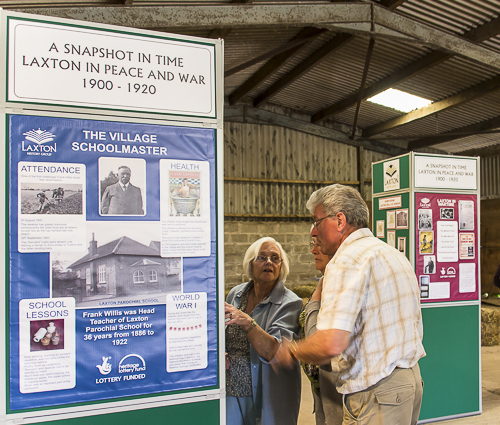 Thanks an award from Nottinghamshire Community Foundation's 'Grassroots' fund in 2009 the group purchased equipment to make and exhibit displays about Laxton. These have been put to good use at a variety of locations including in Laxton, at Newark Castle, Mansfield, Nottingham, Doncaster and at Thoresby Courtyard Gallery. Displays can be provided to complement local events by arrangement. 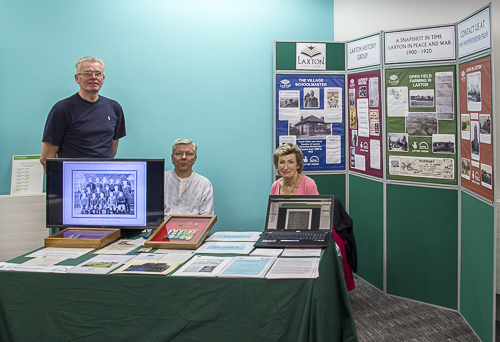 Please contact us if you are planning an event where our display would be welcome. 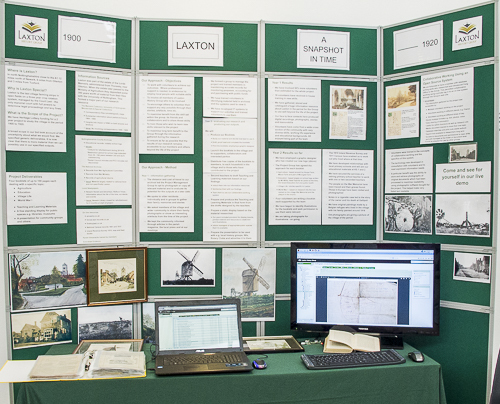 We are also happy to provide speakers about Laxton during 1900 - 1920 and the way in which we secured our funding and carried out the project, exceedng the planned deliverables by a considerable margin. 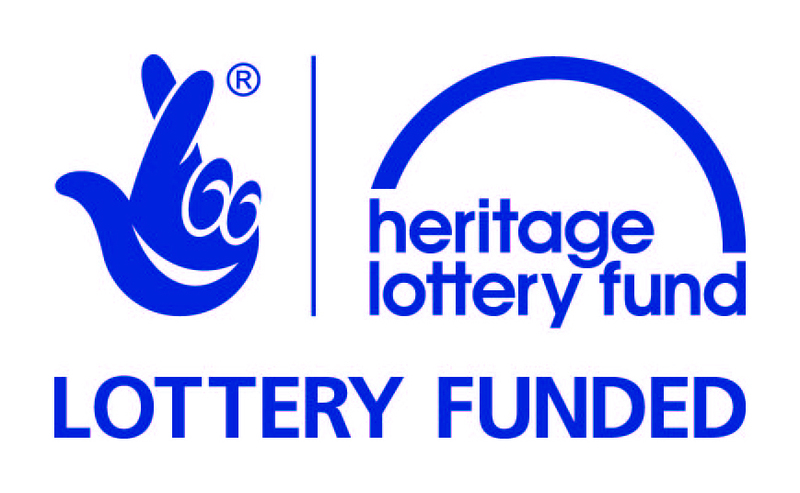 We can also liaise with a member who conducts guided tours and the WI which is able to offer refreshments to visiting groups.